St. Peter Claver Center Church. 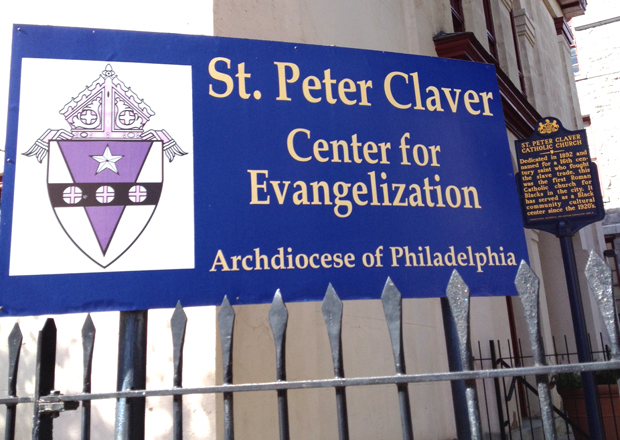 St. Peter Claver Center for Evangelization at 12th and Lombard Streets in Philadelphia will close effective Oct. 31, the Archdiocese of Philadelphia announced today, Oct. 9. The center, which provides for the spiritual, pastoral and temporal needs of black Catholics in the archdiocese, opened in 1985 at the site of St. Peter Claver Church at the time that the parish itself was closed. It offered Mass, retreats and regular community services, but in recent years use of the center dwindled, according to an archdiocesan news release. Attendance at the monthly Masses was less than 15, with other programs sparsely attended as many of the liturgies and programs it offered were taken up by parishes in the archdiocese with African-American populations and immigrants from Africa. According to the archdiocesan news release no jobs will be impacted by the closing, but it is envisioned the property will be marketed for sale in the near future. Net proceeds from a possible sale would be designated to support ongoing ministry to black Catholics in many other ways. With the closing of the Center, the Office for Black Catholics, which is headed by Deacon William Bradley, will continue to fulfill its mission by working closely with parishes as they minister locally to black Catholics throughout the region. Additionally it will continue to support vocations to the priesthood, collaborate in the work of the Ministry to African-American Catholics Certificate Program, as well as the Institute for Black Catholic Studies; oversee the Kujenga retreat program for youth and maintain relations with the Knights of Peter Claver and Ladies Auxiliary along with the St. Martin de Porres Foundation. 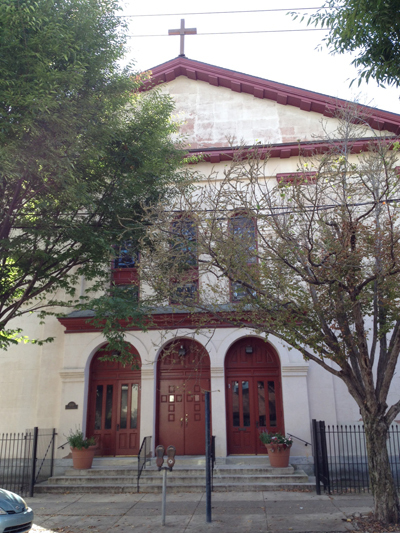 The center was able to support its programs through a grant from the Washington-based Black and Indian Missions Office, but this did not cover funding for the deferred maintenance of the buildings, which include St. Peter Claver Church and the adjacent four-story building that houses the programs. The archdiocese, because it is still in the process of restoring its fiscal foundation, is not able to guarantee funds for the care of the center. St. Peter Claver Parish, the forerunner to the St. Peter Claver Center, was founded in 1886, but not at that location. Because black Catholics were not always welcomed at parish churches in that era, the Drexel sisters, (Elizabeth, St. Katharine and Louise) purchased a large house at Ninth and Pine Streets, which was renovated as St. Peter Claver Chapel and School. It was the first Catholic church in Philadelphia designated specifically for black Catholics. The congregation very quickly outgrew this building and in 1891 the former Fourth Presbyterian Church, which traces back to 1842, was purchased for $20,000 and that is the building still in use today. Father Augustus Tolton, a former slave who became the first acknowledged African-American priest in the U.S., attended the 1891 dedication and the Third National Colored Catholic Congress was held at St. Peter Claver that same year. From its beginning until the parish closed it was conducted by the Congregation of the Holy Spirit (Holy Ghost Fathers) along with the Shrine to Our Lady of Victory which was located within it. At the time the parish itself closed in 1985, the congregation had dwindled to about 300 members. I am sorry to see this. Especially since we have a black candidate for sainthood.